For years I felt as if I was one huge burden, a pest that hung on for sympathy and purposely alienated people. In 1998, I was diagnosed with Bipolar Disorder. Bipolar I. Moods can swing from extremely ‘low’ (depression) to an exhilarating ‘high’ (mania). My disorder was BPII, meaning I still experienced ‘depression’; however, the ‘high’ (mania) is lesser of a degree and therefore named ‘hypomania’. For a decade, I literally “lived” in and out of hospitals. My wonderful husband stood by me through those turbulent years. Years of endless hospitalizations, electroconvulsive therapy (ECT, shock treatments), suicide attempts and a myriad of medications became the norm. My immediate family (my side) were absent when I needed their support most. Friends? They were supportive at first, regularly visiting me in hospital, but as the years lingered on, friends became scarce. Had this been cancer or heart disease, would they have been more empathic? I believe it is the stigma attached to mental illness that drives people away. 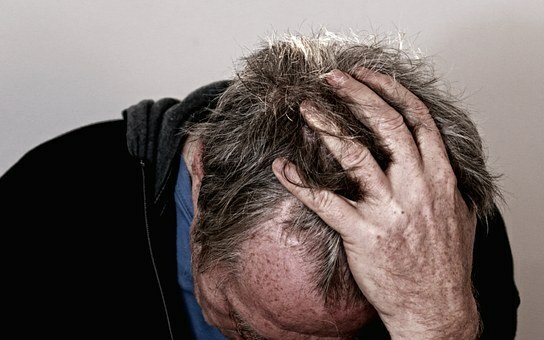 Are mentally ill people dangerous? No! A family member (his side) completely cut ties with us during the early years of my illness and hospitalizations, assuming I was dangerous and feared for his children. At Christmastime, only my husband’s name appeared on the Christmas card – my name was forever excluded. We haven’t seen them since 1998. One family member visited me in the hospital, stating perhaps I had a “bad case of the nerves”. Bad nerves? Anxiety and anger were connected to depression, though. My husband was sorrowful and frustrated during my hospitalizations, said I appeared defeated with each admission, comparing me to a person heading towards death. I lacked motivation, my facial expression looked somber and drawn. In a strange way, while in hospital, I wished to break free and be home, but when I was home I wanted to return to the hospital. Was this called conditioning? Distressing hubby mostly were the suicide attempts; feeling powerless and enraged that the medical system was failing me. And obtaining two or three-day passes, he was frightened to arrive home from work discovering me dead. Finally, I fired my psychiatrist of six years, a new psychiatrist (2002) came on board and ordered an altered combo of meds. My health improved, avoiding hospitalizations, with my doctor making it clear that bipolar disorder is a life-long illness, remaining on medications is vital and avoiding alcohol or drug use to stay healthy. I returned to the working world for 6 years, struggled with depression, and the pressure of working was frightful, therefore, forced to head for long-term disability. That was the end of my working career. Today, I seriously question that Bipolar diagnosis, as years have passed, I’ve yet to experience a ‘manic’ episode, only in the dark basement of black depression, and by my research hardly recalling a ‘hypomanic’ episode. I’ve been off lithium and mood stabilizers for about five years now, with a new psychiatrist in 2012 assessing it was serving no purpose, and now strictly on antidepressants. Depression still comes and goes. You wonder if they (doctors or medications) are doing their job, should I be on this much medication or reduce it, or…. There IS life with mental illness, however, the stigma still remains. Movies and television doesn’t help matters. But in the last decade advocacy organizations sprouted up everywhere. It’s difficult now, but better. I’m confident it’s going to continue to improve, just not as fast as you and I would like. Stigma is going to be one of the last things to be stamped out I feel but with great posts like this it will be sooner.